Broadcaster/author June Sarpong in an recent interview talked about being excluded from a photo shoot by her then employers MTV, 20 years ago as she was “not suitable for beauty” editorial. Her book Diversity poses the questions. 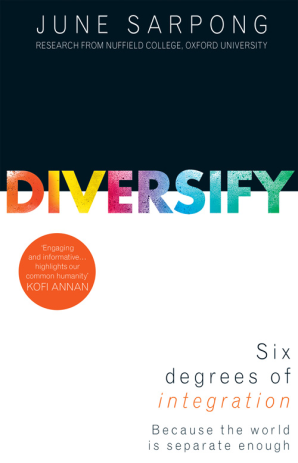 Putting the spotlight on groups who are often marginalised in our society, including women, ethnic minorities, those living with disabilities, and the LGBTQ community, Diversify uncovers the hidden cost of exclusion and shows how a new approach to how we learn, live and do business can solve some of the most stubborn challenges we face.